The Maserati Ghibli is here. Its first 3 official pictures were released as a preview of what Maserati will show in Shanghai 2013, where the brand will continue on its way to introduce more models and reach 50.000 units by 2016. After the new Quattroporte, Maserati gets ready for E-Segment, with its very first ‘small’ sedan called Ghibli just as the great sporty cars the brand sold in the past (from 1967 to 1998). 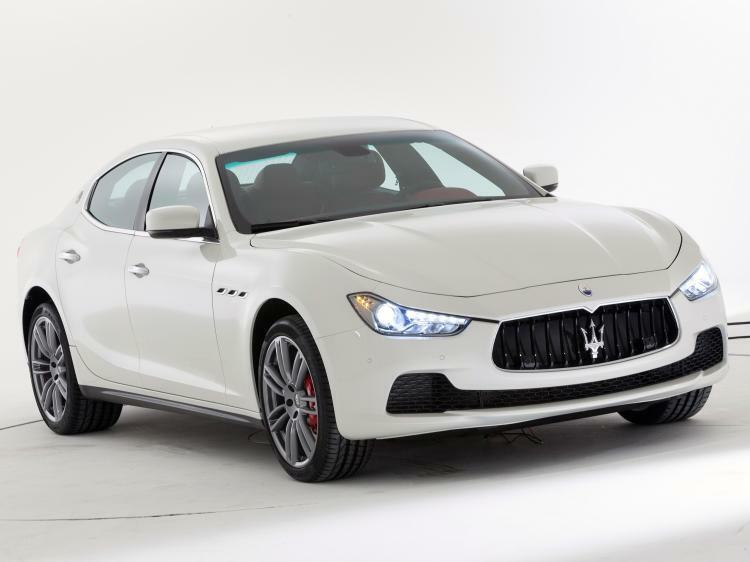 The new Ghibli (which in Italy means the wind that comes from the Sahara) is expected to be Maserati’s star in terms of sales, as the Quattroporte is now a larger and more expensive product. 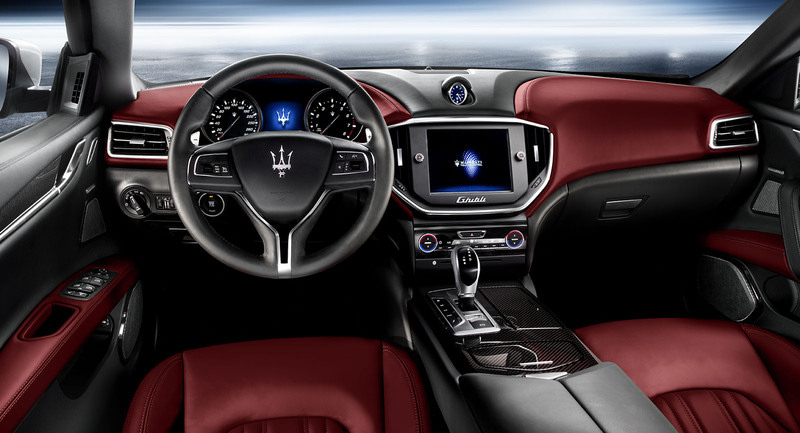 The Ghibli is the car for those looking for a premium, elegant and sporty, personal sedan, as the Quattroporte is the flagship of the brand and more focused on extra luxury transportation. But it is not only the first E-Segment Maserati. This sedan will be also the first Maserati to use a diesel engine priced at 70.000 euros circa. Thus, we’re talking about a more ‘down to earth’ Maserati to conquer more customers looking for a stylish sedan. The car is powered by a V6 petrol engine as well (350 hp and 410 hp). And of course in terms of design, this new Maserati doesn’t disappoint: fantastic shapes, wonderful rear and a front which brings a new face to the family. The interior is sublime, with a great distribution of command buttons looking, and the possibility of a coloured and warmer dashboard (according to the seats). The result: a fantastic way of shorting the Quattroporte giving it its own personality. But it is not all. The Ghibli means the first step of Fiat Group in E-Segment but not the last one. Even if Chrysler offers the 300 and Charger (both belongs to E-Segment), the whole group lacked of a European premium sedan. The Ghibli opens the door for a future E-Segment Alfa Romeo that will arrive in 2016 to help the brand to sell 300.000 units (or more, according to Louis-Carl Vignon). Alfa’s flagship will use the platform of the Ghibli and will be offered at lower prices to allow the group to enlarge its range of large sedans and be a strong alternative to Germans. That’s how Fiat Group will become the European auto maker with the largest offer in this segment, starting with the Thema (to be changed by 2016), the Alfa Romeo, and closing with the new Maserati Ghibli. These 3 cars are supposed to steal market share to the Mercedes-Benz E-Class, Audi A6 and BMW 5-Series. The Thema will be the entry-level big sedan for those looking for a roomy car with lots of comfort. The Alfa should be positioned as the real sporty alternative in the segment. And the Maserati will become the ultra premium option to compete with the top-ending Germans. Of course this battle is likely to take place in USA and China, while Europe will be more complicated as total market will not be as large as it used to be. 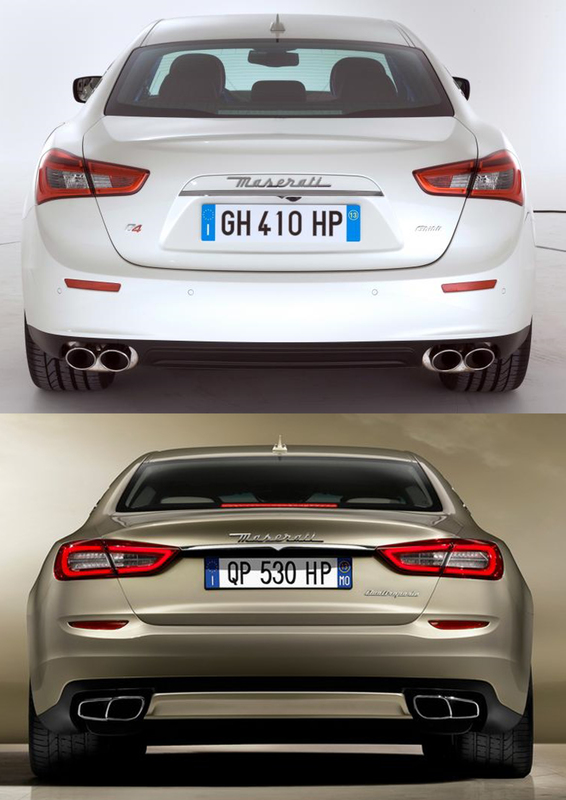 Maserati Ghibli (on top) and Maserati Quattroporte. The first one will be positioned in E-Segment for those looking for a premium and sporty sedan. The Quattroporte is intended to be the extra luxury car for those looking for comfort. 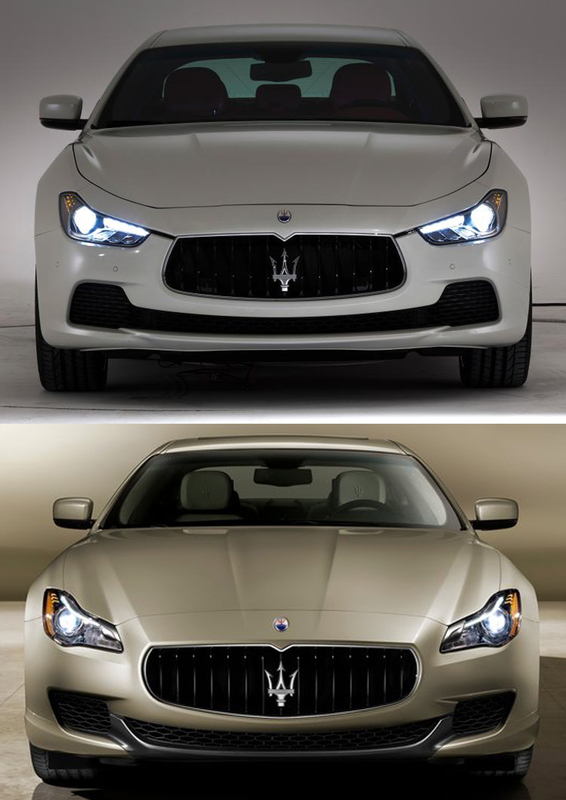 Maserati Ghibli (top) vs. Maserati Quattroporte. The Ghibli looks more agressive as it is suposed to be more sporty. ← Lancia Ypsilon or Nissan Micra? 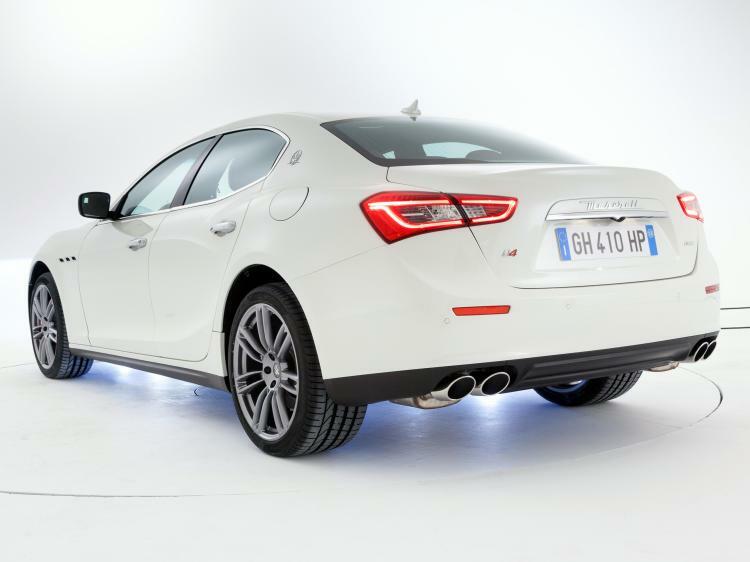 The Ghibli looks good … but 50,000 is a very ambitious target given Maserati’s limited dealer network. Alfa Romeo is only selling at a rate of 60,000 cars now, and it has a far bigger dealer network. The difference with Alfa Romeo is that Maserati doesn’t count to much on European market. Most of sales will come from North America, Asia and the Middle East. Alfa Romeo is not very well established over there. There are only about 50 Maserati dealers in the US. And 15 in China. To get to 50,000, they’ll need a lot more than that, even if the product is good and competitively priced. Porsche averages about 200 units per dealer, and that’s an established brand with a strong dealer network. I expect that Maserati will need 400-500 dealers to reach its goal (assuming other pieces fall in place). the car looks good yes and the maserati brand-images is good as well. What do you thing of the technology offered in both, the QP and the Ghibili? I ask because it appears as both cars have not much to offer in terms of e.g. safety technology) like the competition. Maybe even the Fiat 500l with his city brake in this case is more advanced than the maserati twins. Do you know what i mean? Mercedes and Co. they are so full packed with this stuff ( frontcamera, nightvision, headup displays etc.) Even if i like the italian brands a lot, i would like to have an uptodate car if i spend so much for it. What do you think? I think the approach is different when thinking of a Maserati. The new Ghibli and Quattroporte make part of E and F segments but are a bit different from their German competitors. 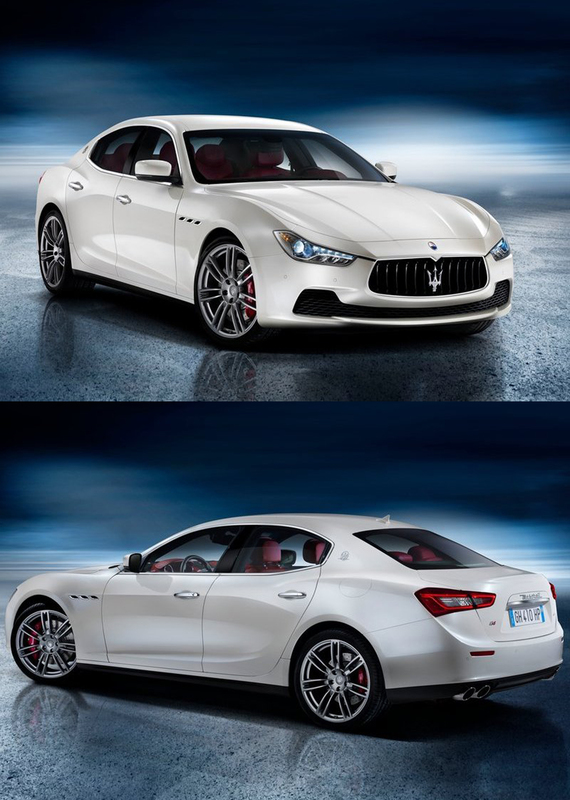 The new Maseratis are more focused on Premium sportiness with simple, elegant and sophisticated features. Of course it doesn’t mean they don’t offer the latest technologies (their engines are much more modern than any other in their segments). Actually I was discusing this with some colleagues as they said the interior of the new QP is very simple. I agree, it is really simple, but extremely well done and fancy. To have lot of buttons and commands (Audi A8) doesn’t make you more technologic. You are right, i don’t like the “a lot of buttons” strategy either. I get your point “in the different” approach. Living here in germany i’m so used to the “battle of technology” that everything that does not compete in “this game” is automaticly a niche-player..and i tought with this new products Maserati want to become a mainplayer of the Segment. Even Jaguar is going the Way to combine 2 Worlds ( classic Premium feel, touch and look with the more modern approach of putting high tec inside. Very strong step of Fiat with new Maserati range, also very smart. Maserati will bring Fiat a lot of cash and will have halo effect for future models of Alfa and Lancia. Just Maserati will help to position Alfa + Lancia more in premium segment. 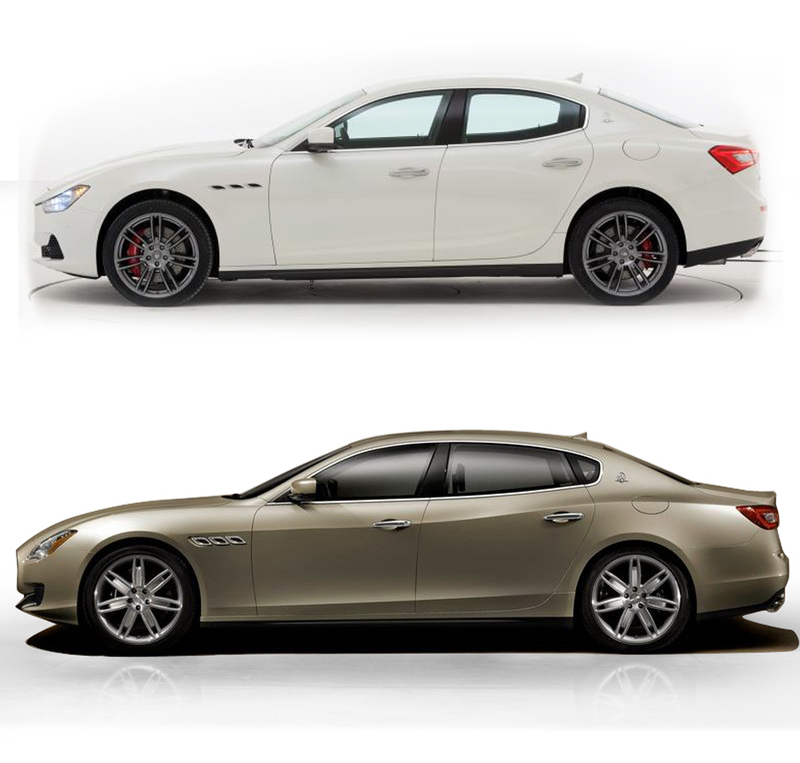 Imho, Fiat should go even further with Maserati, into D segment with sedan/SW and crossover. Jaguar, MB, BMW, Audi, Volvo, Lexus, Cadillac – all competitors don’t care about image of big, expensive premium cars and go down and down, even to compact range. Maserati should be Fiat’s ‘wunderwaffe’ against premium competition. I agree with you in the way that Maserati can become a cash generator. But I disagree when you say that they should develop lower segment models. One of the most valuable characteristics of Maserati is its exclusiveness. For lower segments Fiat can count on Alfa Romeo and Lancia. It is perhaps the only group with so many historical and premium names: Lancia, Alfa Romeo, Maserati and Ferrari. Arguably Maserati is the only one of the three (excluding Ferrari, of course), that has not been devalued by inexpensive A/B-segment cars, which is all Alfa and Lancia are able to offer. It will take many, many years for Alfa and Lancia to become full premium brands. I’m not even sure if Fiat want to do it, I mean sell Alfa and Lancia at Mercedes prices. Maserati is in different situation, thysi is wright. Only Maserati can achieve some goals, what’s more – quickly and at higher prices than MB ! If they do so, what would be the future for Alfa? Lancia won’t be a premium anymore, but Alfa Romeo can be the cheap version of the Maseratis. 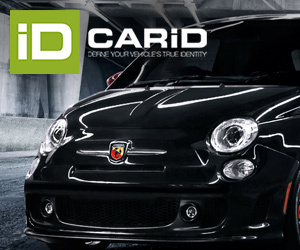 They could offer premium sedans in E and D Segments with different approaches and prices. But below D Segment, Alfa Romeo should be alone (with Lancia). Maserati ‘D’ sedan/SW/crossover should be expensive, very expensive. Alfa ‘D’ is not a problem for Maserati plan, Alfa will be Fiat’s Audi in best scenario but I’m pretty sure Fiat will have to sell Alfa as near-premium brand (same Lancia, maybe slightly below Alfa). Then we will still have big difference between Maserati and Alfa both in price and brand image terms. We can have Maserati and Alfa/Lancia in E segment, we can do the same in D.
VAG is not afraid of mass making with Porsche, Fiat shouldn’t be afraid to develop Maserati. They just did 1st step, Maserati E and diesel. Why to give a piece of market to competitors for free ? In the “Maserati as the premium brand” scenario, keep Alfa Romeo as a sporty brand. Start by offering small (A through C segment), and add sporty models (4C, roadster etc). AdDo not add a D segment car or SUV, leave those to Maserati until the Alfa Romeo brand has re-established its sporting credentials. And get Alfa Romeo back into racing. Any racing, anywhere will do at this point, the Quadrifoglio belongs on a proper racing car, not just hot hatches. Ideally, I think Lancia should be the “poor man’s Maserati”, and Alfa Romeo the “poor man’s Ferrari”. (And then of course Mercedes Benz, BMW and that faux-premium brand with those four rings should be the poor man’s Alfa/Lancia, but by this point I’m just dreaming ;)).